WILMINGTON, Del. 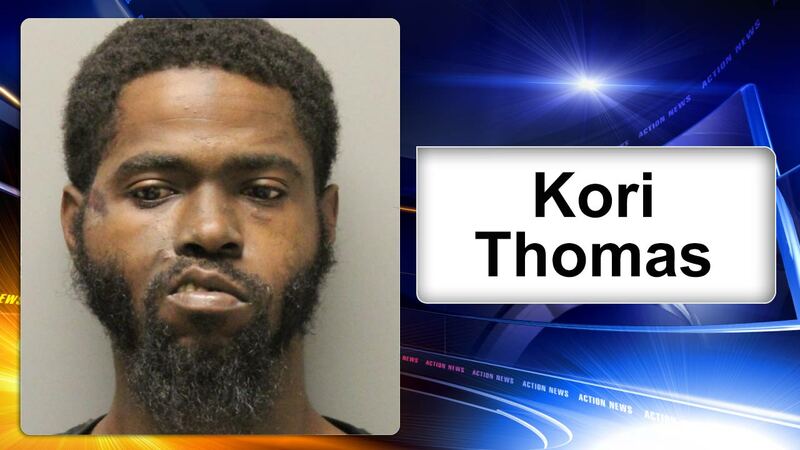 (WPVI) -- Police have arrested a man who allegedly robbed eight businesses across New Castle County, Delaware. Kori Thomas, 29, was arrested on Monday following the armed robbery of the 7-Eleven located at 314 N. Union Street in Wilmington. Investigators say he also targeted gas stations and a liquor store in his crime spree over the past month. In each case, police say, Thomas was carrying a gun and got away with cash. Police say they tied Thomas to the crimes through surveillance video.